The weekend is almost here and I can't tell you how excited I am to see it come! A little fact about me is that I'm originally from Wilson, North Carolina. Yes, Wilson, a small but creative birthing place of many of influential people in entertainment. Today's post is about a young man from Wilson that's been known for his skills on the basketball courts but now his music is making just as big of an impression. The artist I am speaking of is named J.R and he's ready to share his music with each of you. We took time to chat about his music, social media, and his basketball career. J.R: "Actually, I started as a producer making beats for my friends right around 2005 when I graduated from high school. I wasn't a writer or rapper but I use to listen to them and then I started writing and rapping from there. I haven't put out an official single but I did drop music on Soundcloud and then I put out an EP in October 2015 called Shadow in the Shade. The project was based on different views and the song Sepia is about past memories of relationships." How has social media been influential to you? J.R: "Twitter is probably my biggest platform at the moment. Some of my favorite artists follow me up there and its great to be connected to people up there. How did your basketball career begin? J.R: " I played basketball for Northland International University in Dunbar, WI. Sports Ministry was my major. My two old teammates and I host sessions called LGCY (Life.God. Christ.You) for elementary and high school students. Lately, most sessions have been in Goldsboro, NC but we have had one in Wilson. Who are people that have influenced you in music? J.R: "Lupe Fiasco, J. Cole, Kendrick Lamar, and Q-Ham (one of my close friends). If I could work with Lupe or Kendrick Lamar that would be my top 2 to work with." How is the songwriting process for you? J.R: "Most of my songs come from my experiences but when I hear a certain beat the words always come together." J.R: "Yes, I'm working with different producers and another project of my own in 2016." How is being an artist in a small town like Wilson been for you? J.R: "People don't really think I'm from here because of my style of music. But the reason I named my EP Shadow in the Shade was more symbolic for being from a dark place and not being able to be recognized until some light is shed on you." J.R is an artist on the rise looking to expand his music and reach audiences well beyond North Carolina. 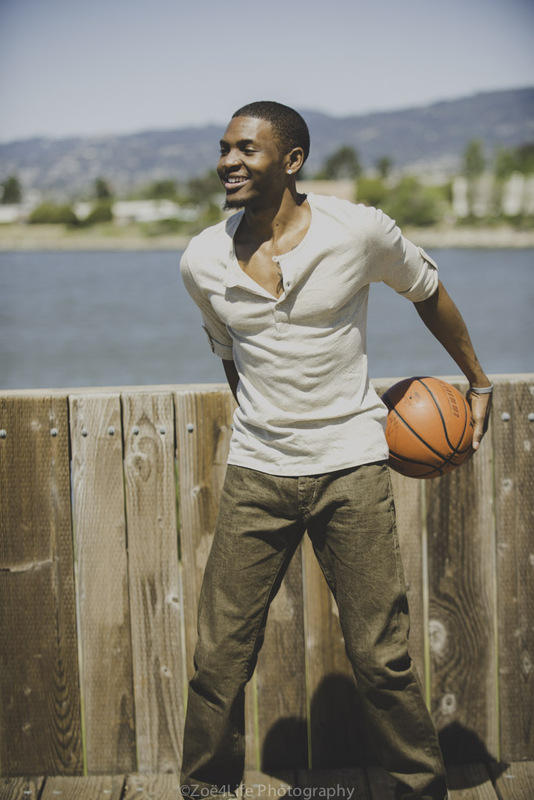 He's taken his basketball career as an opportunity to mentor, inspire, and increase awareness on physical fitness. He's setting a tone for his community that not all African-American young men are living a certain negative lifestyle. He's using his platform to show a more intimate side of himself and to me that speaks volumes. I believe we should share our gifts with the next generation and not look at them as competition but as seeds of inspiration.